Rohit Arora, founder of Biz2Credit, capitalized on the banks’ ability to develop profitable portfolios with small business loans. He also noticed that ethnic-owned firms had the least defaults and used this information to develop his business model. Since immigrants’ largest impediment to getting loans in the United States was a result of lack of understanding, Biz2Credit developed an immigrant-friendly online application process for commercial loans and credit reports. Once credit scores are determined, immigrants are matched with three to 10 potential lenders. Financial documents can be stored online until a loan is granted or denied. The process is streamlined and innovative. Immigrants can build their business credit and expand their businesses with these opportunities. between $200,000 and $4.5 million. Fifty-five percent of the Biz2Credit’s customers are immigrants. 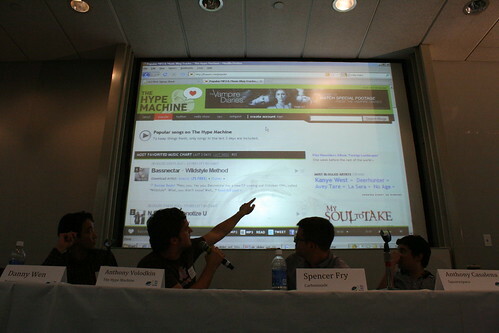 Squarespace developed from Anthony Casalena’s frustration of integrating photos, analytics and blogging tools. He developed a publishing platform to solve the problem. The software integrates websites, Flickr and Twitter easily. He used a $30,000 investment to buy servers to support his platform. The platform costs between $12 and $36 per month and supports clients such as Kiehl’s, a cosmetic retailers and Marc Ecko Enterprises, a fashion firm. In 2010, the company reported sales of as much as $10.2 million. City Winery founder, Michael Dorf, addresses the need of winemakers who need fresh grapes from California, Oregon or Chile vineyards. The company also hosts concerts, wine tastings and sells wine by the glass. The event space is used for wedding receptions and private parties. The main portion of his business sells memberships to produce wine for companies. In 2011, Dorf expected to produce $10 million in revenue. International Asbestos Removal founder, Karen Grando, went into the asbestos-removal field after hearing her husband repeatedly turn down clients requesting the service. She enrolled in a training program to earn city and state licenses to perform this trade. She has won contracts with Metropolitan Transportation Authority, Dormitory Authority of the State of New York and the School Construction Authority. In 2010, the firm had revenue of $10 million. Vita Coco was started by Michael Kirban and Ira Liran after over-hearing a conversation about coconut water from two Brazilian ladies. The founders felt coconut water could be as profitable as orange juice. The two guys used $100,000 of their own savings to start manufacturing in Brazil. The popular drink made its debut in Whole Foods in New York. Vita Coco is also sold at many Walmart and Costco locations. Demi Moore and Matthew McConaughey both invested in the popular drink. Celebrities have donated over $10 million for its development. The business growth was only limited by the number of coconuts it could obtain. Last year, the company managed nearly $80 million in sales. The company is also charitable and donated $2 million to the American Heart Association, Special Olympics and other charities. Guest Post: Robert Kurtz is a career consultant and contributor for Top Business Degrees, a site with detailed information, reviews and guides about online business degrees.